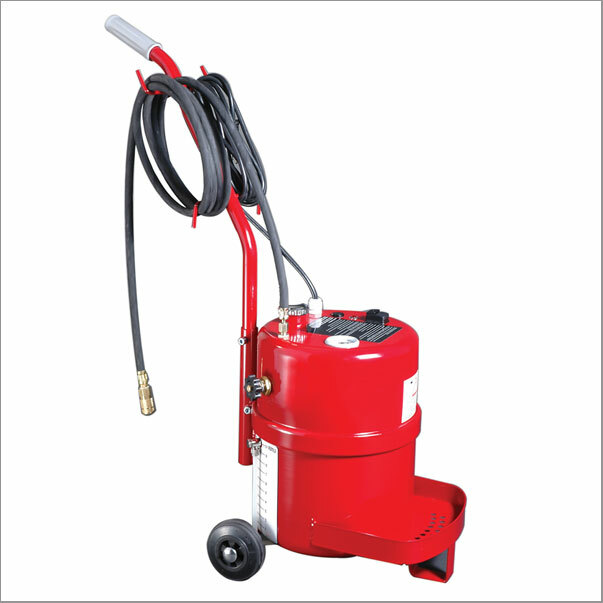 The Power Probe electric pressure brake bleeder is simply the most user friendly and efficient way to bleed high tech brake systems. 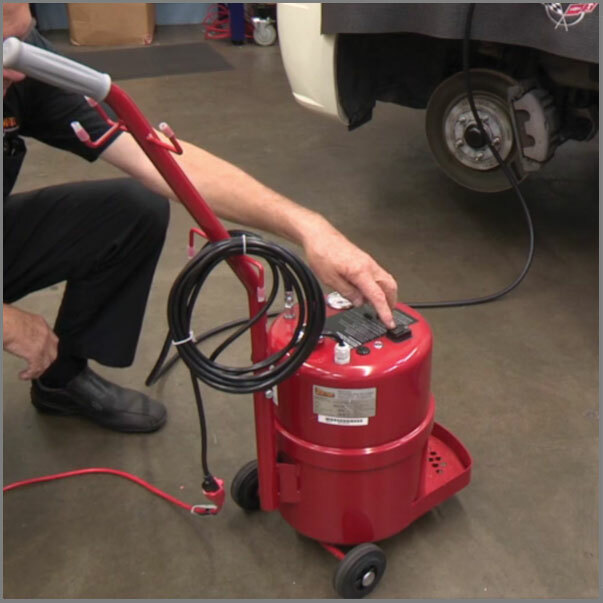 The electric bleeder eliminates all the hassles associated with both air pressure and vacuum-style brake bleeding. Adjustable pressure regulator enables the technician to not only adjust the pressure, but also ensures constant pressure at all 4 wheels. 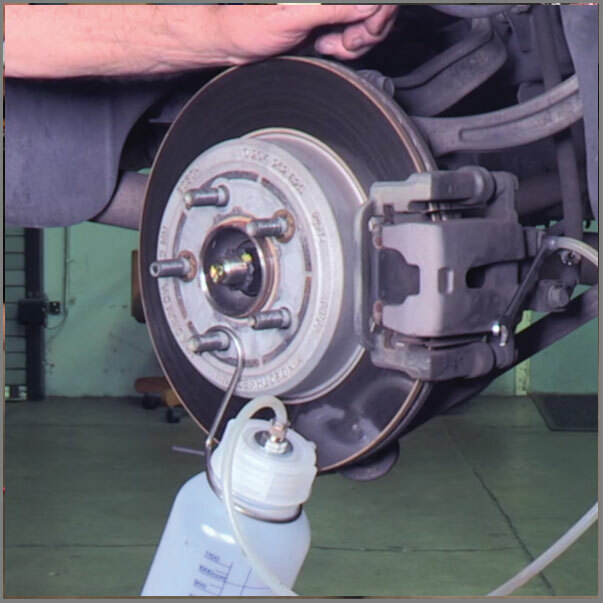 A must for vehicles equipped with brake-by-wire systems. Automatic low fluid level shut-off warns the technician of a low fluid condition then automatically shuts off the bleeder to avoid injecting air into the brake system. Wheel mounted for easy mobility between service bays. 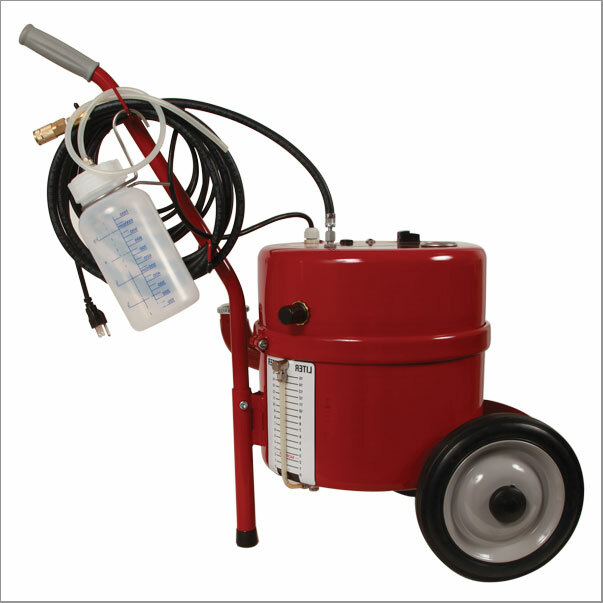 Power Probe Electric Brake Bleeders are available in 2.5 & 4.0 Gallon.